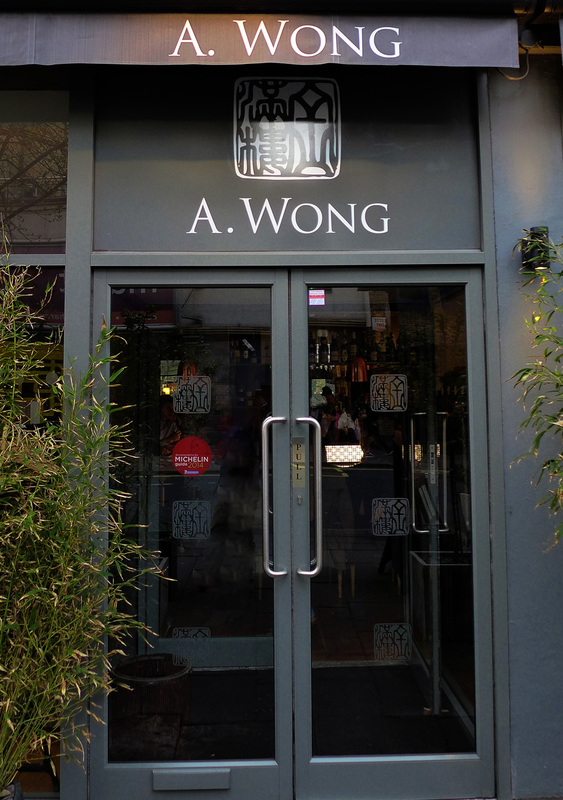 Andrew Wong – A Taste of China. I normally manage to fit in 3 or 4 trips down to London every year to keep up with the capitals foodie scene.Problem is though i always tend to be a bit of a creature of habit and stick to the places that i know best. On this visit my foodie friend Kevin( finediningexplorer ) managed to drag me away from my Sunday slot at The Ritz in favour of Hestons `Dinner`. 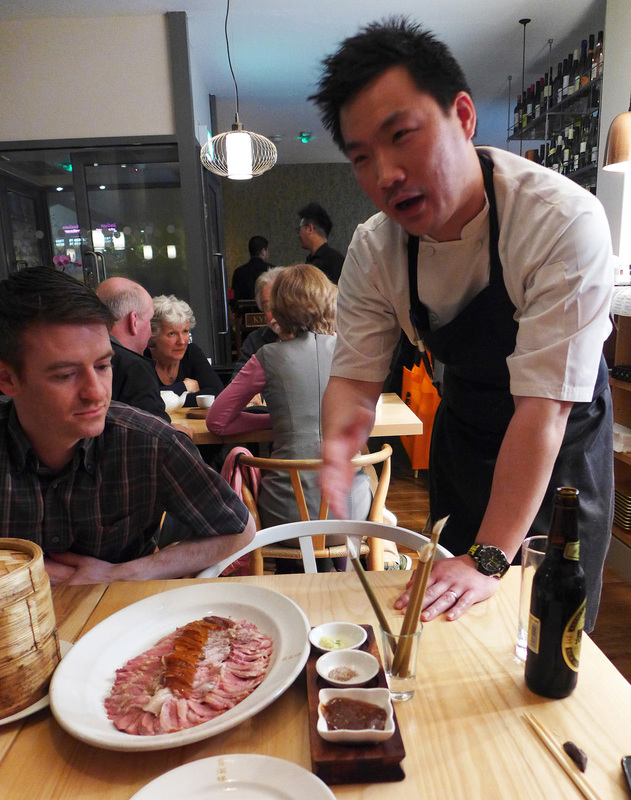 He also asked me to put some trust in him and that we should take a tour of China at chef Andrew Wongs restaurant just over the road from Victoria station. 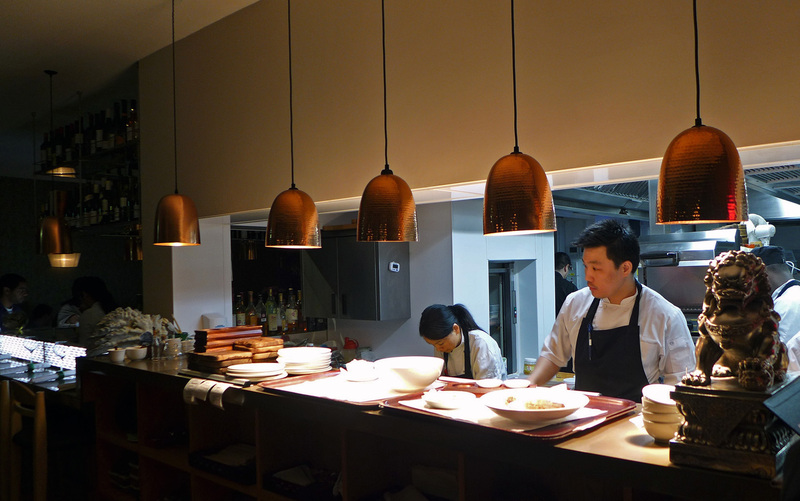 Andrew Wong is a young and very passionate chef who spent a lot of time training and visiting the kitchens of many restaurants around China. 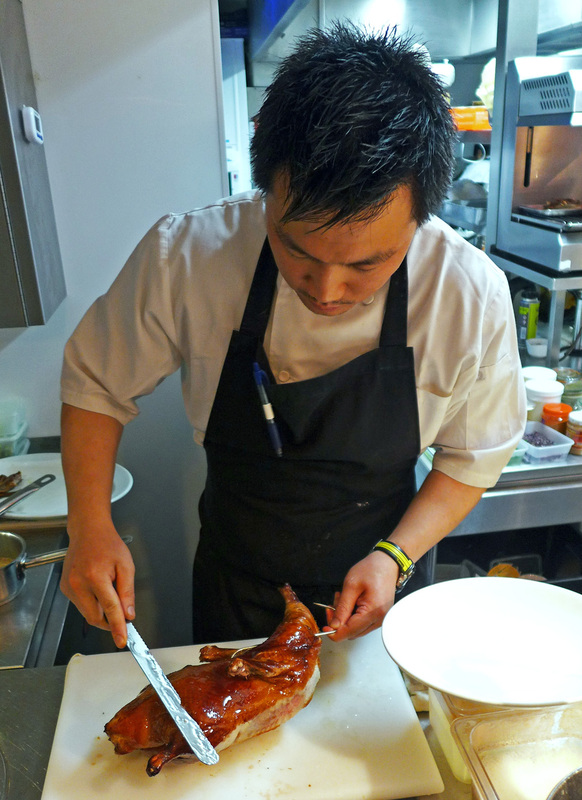 During Andrews travels he picked up cooking techniques and old family secrets to create the unique Chinese cuisine which he cooks and serves in his restaurant…Peking Duck being the star of the show. 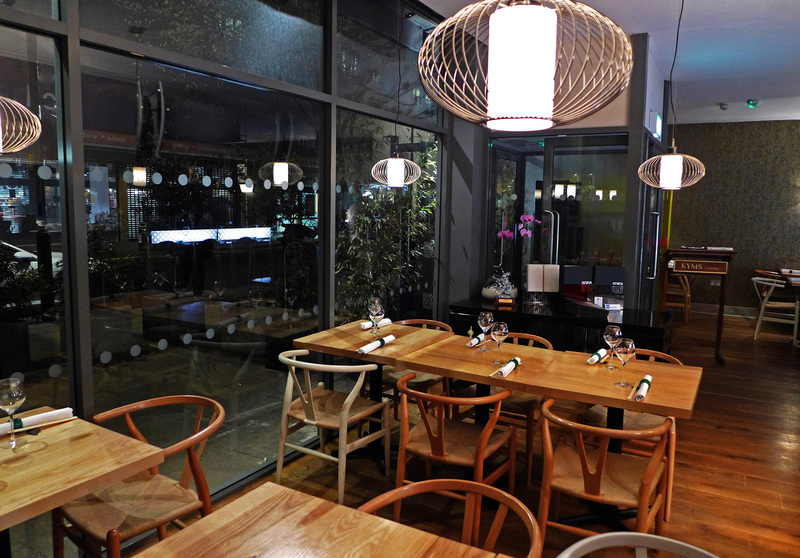 I was booked into the restaurant for a friday evening dinner. 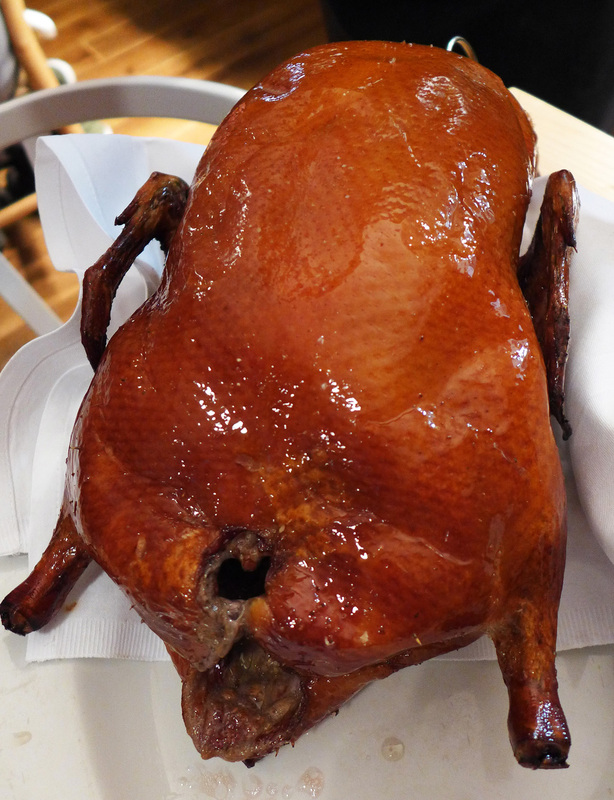 On Tuesday afternoon i received a message to inform me that my Duck had started undergoing its preparation….wow , 4 days.Kevin was giving me the pre-show spiel to get my tastebuds tingling and when i say pre “show”, that`s exactly what it was going to be. 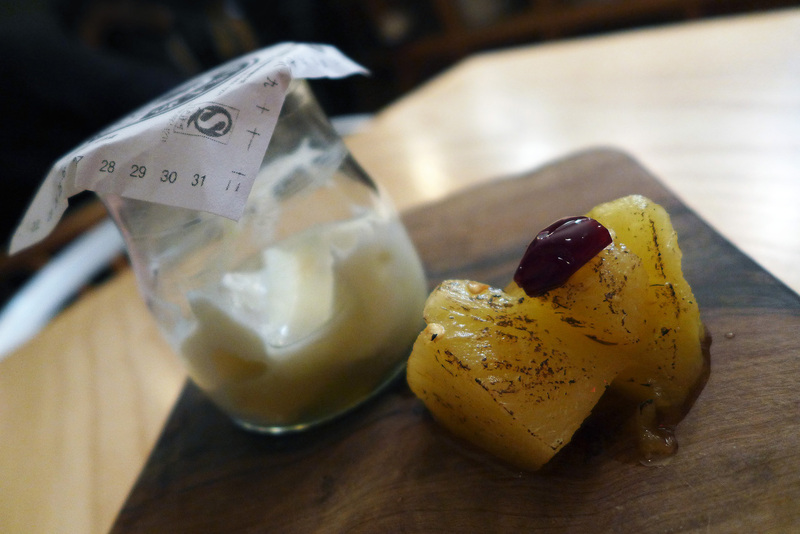 For a couple of total food geeks this meal was better than going to see a superstar in concert or a West end musical….this was Andrew Wongs show. 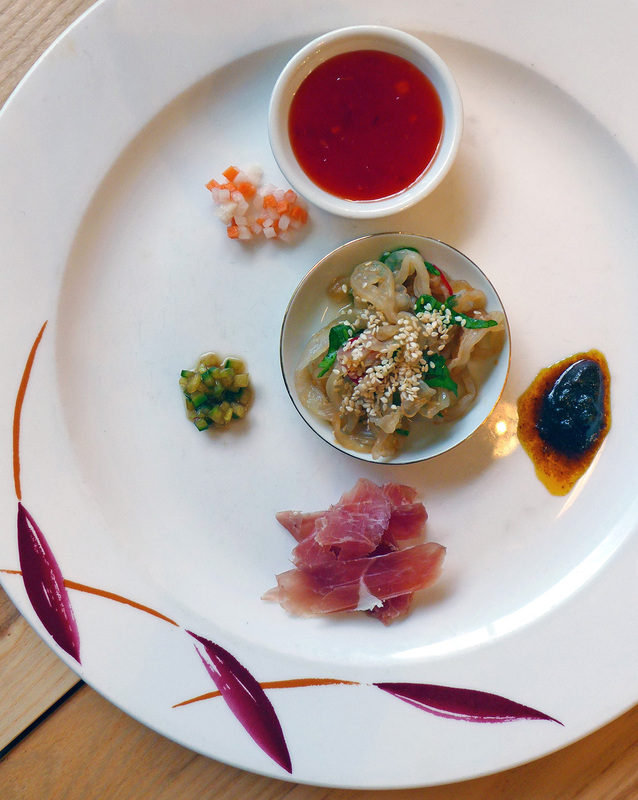 A “Taste of China” , encompassing 2000 years of culinary history across 14 national borders. Chef Wong would showcase a selection of dishes to demonstrate to us the plethora of flavours that existed throughout the countries kitchens. A few little nibbles arrive whilst we get comfortable and my first ever experience of eating Jellyfish. I have to admit that I was pleasantly surprised .Ever so slightly fishy but with an amazing crunchy texture….I`m won over with this one for a start. Prawn crackers with a difference. We started our journey with Cantonese (southern China). Dim Sum (traditionally served as breakfast). Here we have Har Gow (clear prawn dumpling) and Siu Mai (pork and prawn dumpling). 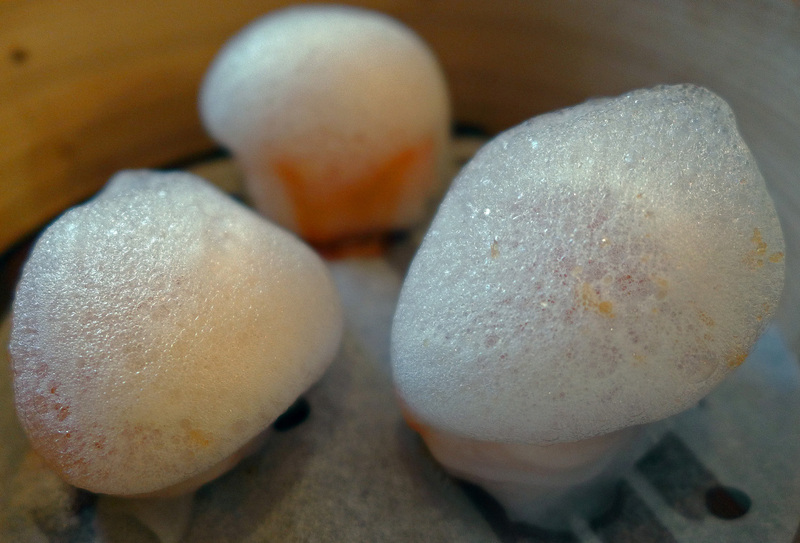 Andrew added his innovative touch by topping the Har gow with citrus foam and the Siu mai with crispy Pork crackling. 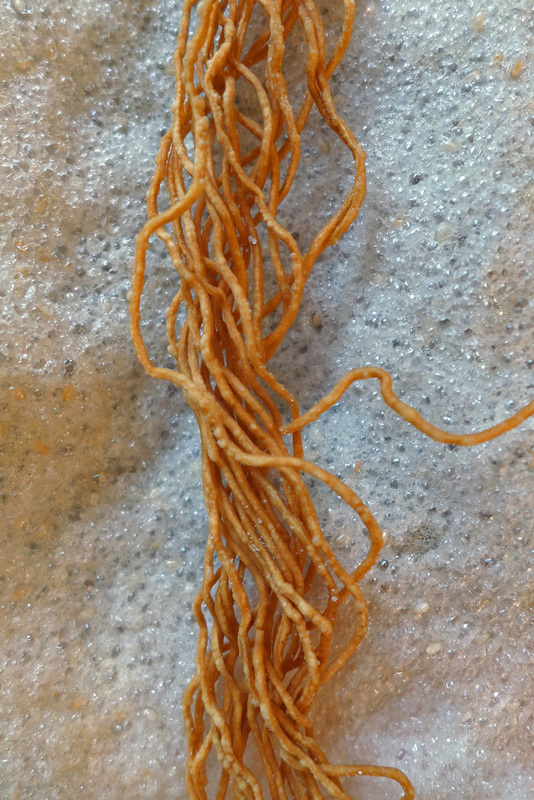 A popular savory snack food throughout China is ‘Tea Egg’. Instead of completely cooking the Egg in Tea, Andrew slowly cooked it at 63 degrees and then presented it in a nest of shredded Filo and Satay powder. 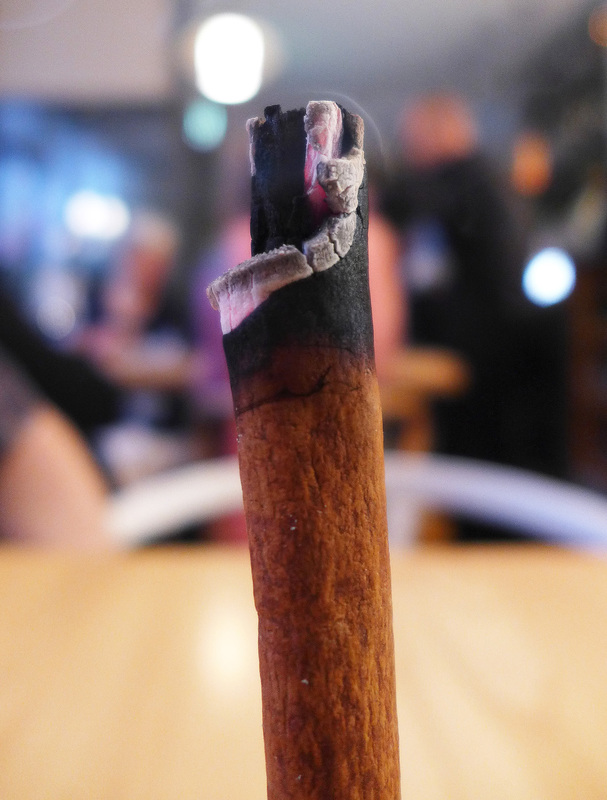 A burning Cinnamon candle stick gave off its spice aroma to accentuate the flavours of the food. 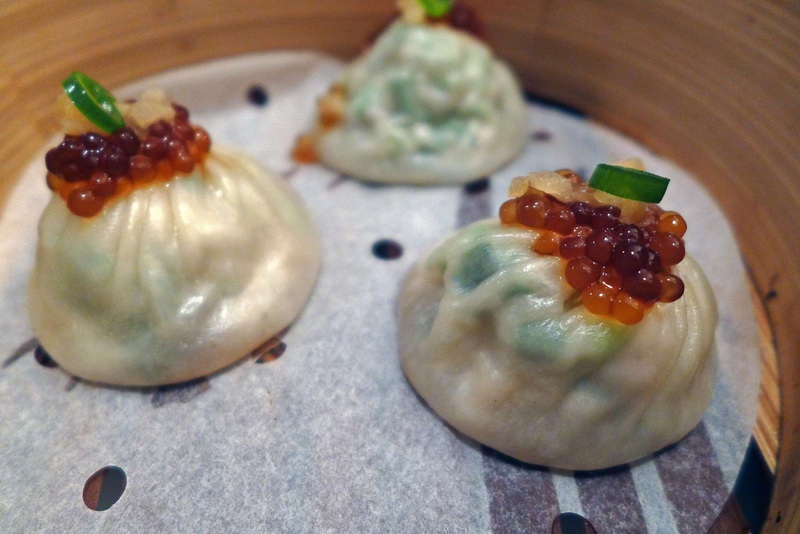 We then travelled East to Shanghai, the most famous Shanghai steamed soup dumplings. 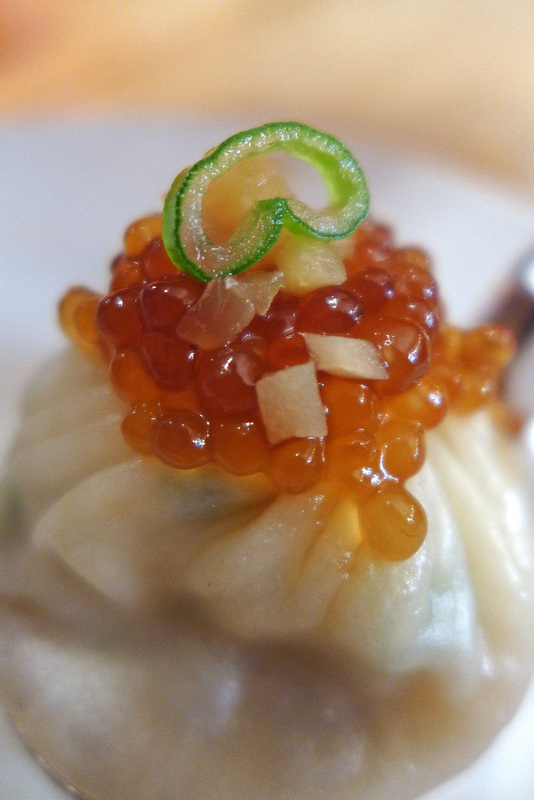 Instead of the traditional way of dipping the soup dumpling in Ginger vinegar, Andrew topped it with little tapioca balls that were infused with Ginger vinegar, a clever little trick. 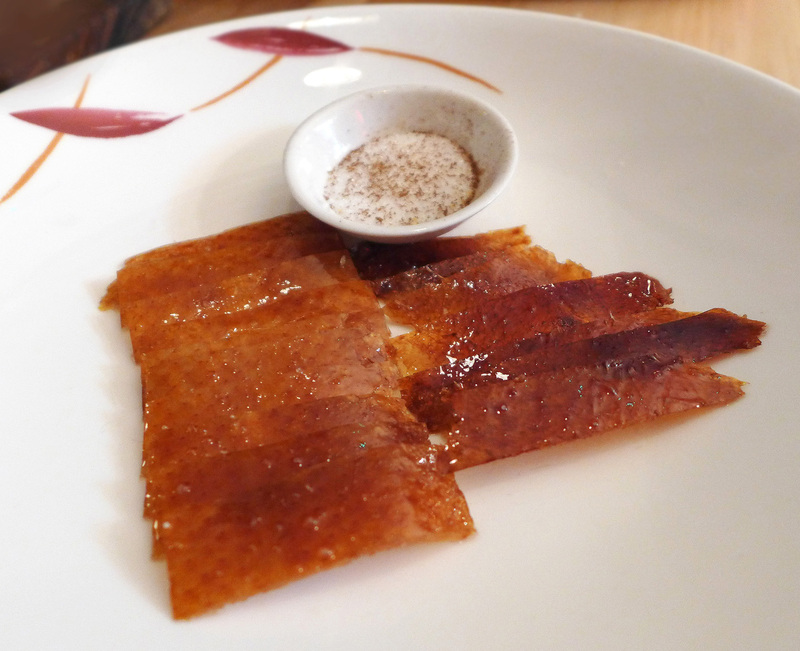 Next came the extra course to our tasting menu, the most labour intensive course of the meal requiring 4 days pre-order .Peking Duck. 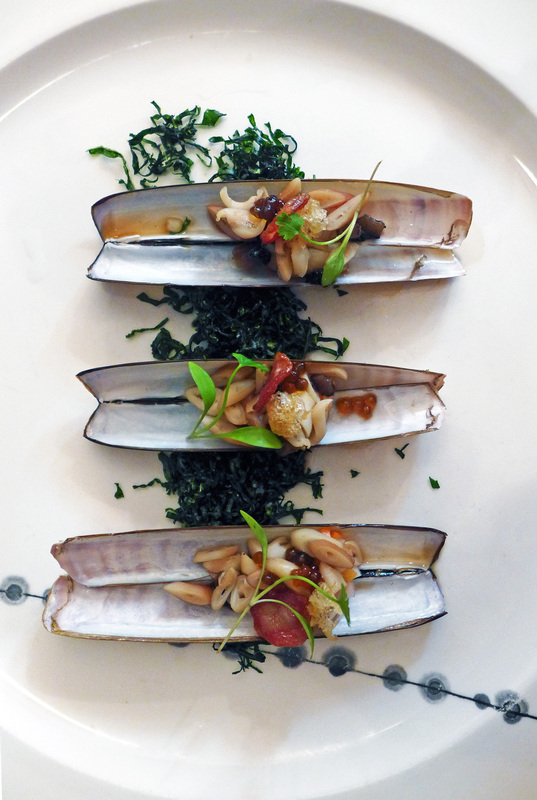 The most iconic dish within Chinese gastronomy with more than 1500 years of history and taken from the imperial kitchen. 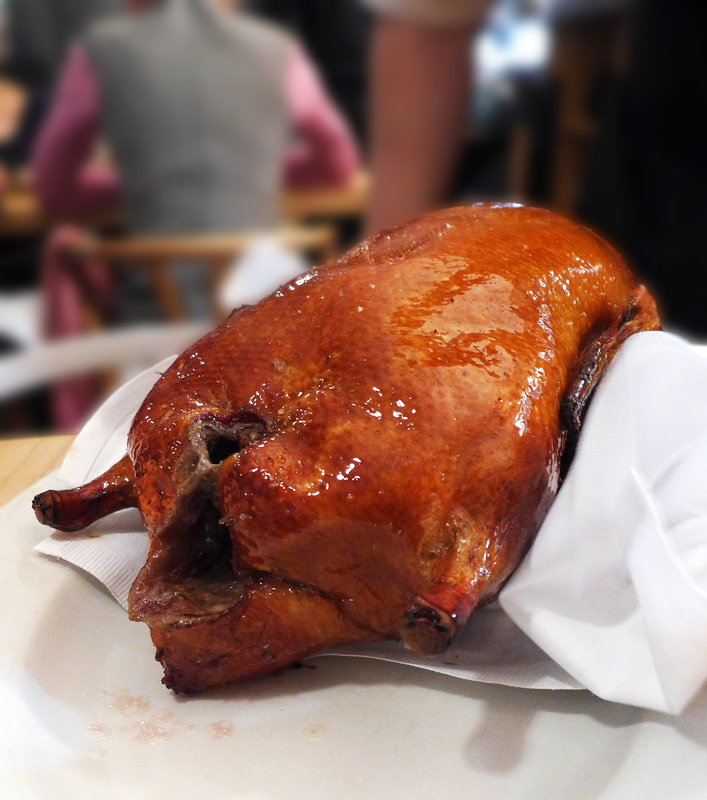 Each duck is taken through a series of drying processes over a period of days to reduce the skins moisture before roasting to enhance the crispiness of the skin. 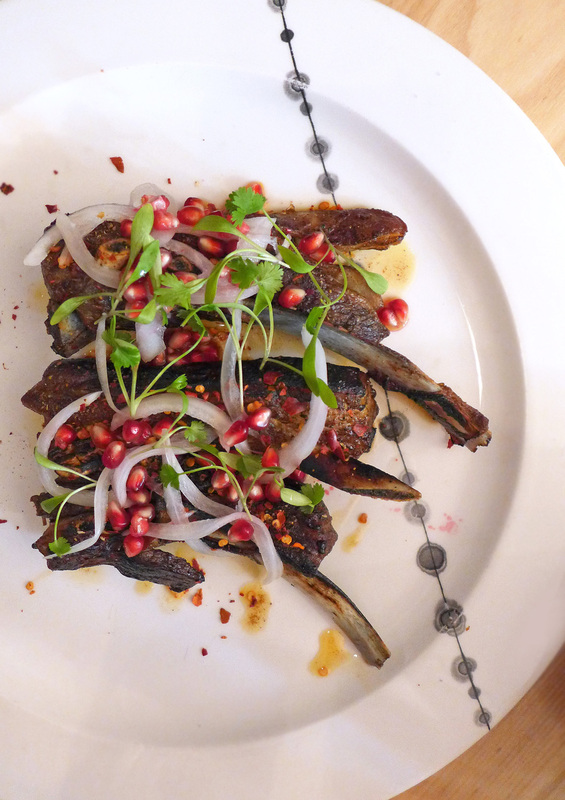 The whole focus of ths recipe is the delicious crispy skin. As you can see here , the result is amazing. 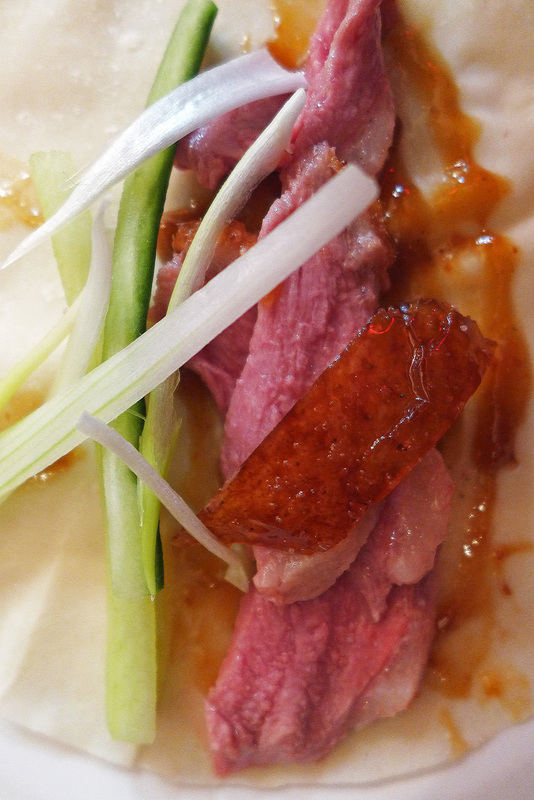 I was reliably informed that this is the only place in the whole of the UK ( and possibly Europe) that I would get Peking Duck of this quality. Andrew sampled Ducks from many suppliers in Europe and discovered that only Silver Hill farm Ducks from Ireland work for him. 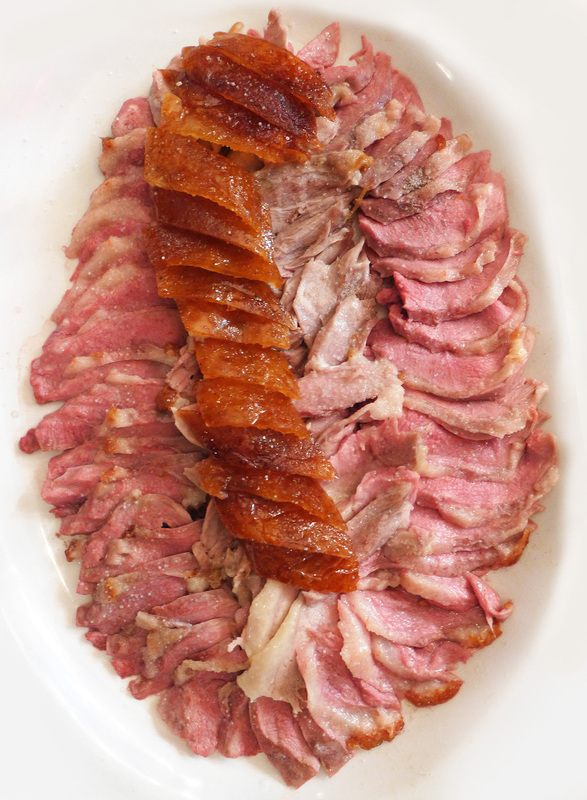 The age of the Duck, the right proportion of fat to meat and the way that Silver Hill carefully plucks the feather without creating holes in the skin (otherwise he can’t blow air in between the skin and flesh for drying). The result was stunning and it was my first experience of such a quality and immaculately prepared product. The sweet crisp skin was an absolute joy to eat.The photos below show the breast skin on the left and the leg skin on the right. Cinnamon Sugar was used as a dip to further enhance the flavour. 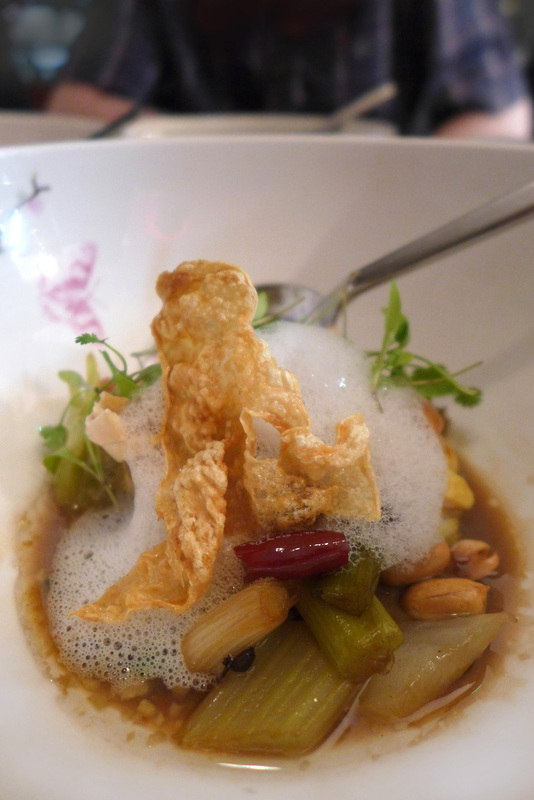 The second serving was Duck consommé using Andrews `mother` or `Master` stock. This stock is impossible to recreate at home as it normally runs for the life of the restaurant. 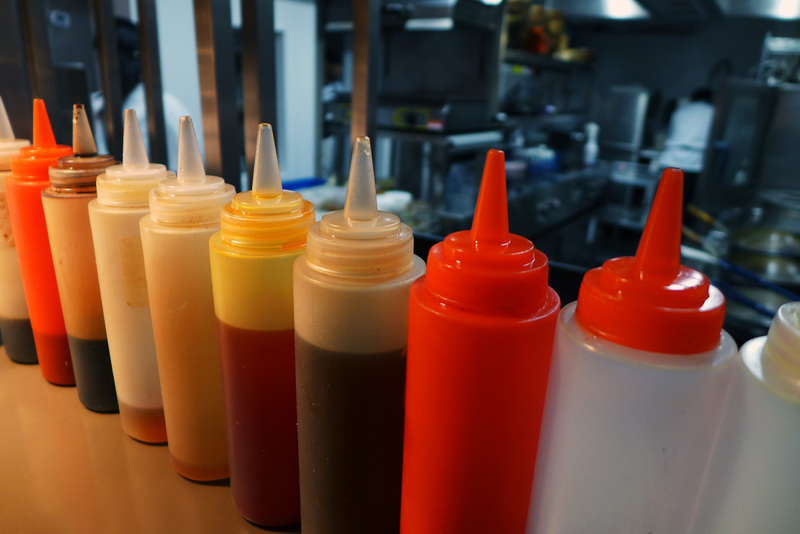 Andrew started his mother stock when he took over the restaurant 18 months ago. The stock is replenished daily and meat trimmings and vegetables are constantly added. The flavours and body of the stock improve daily creating a totally unique flavour which is totally exclusive to only that restaurant. 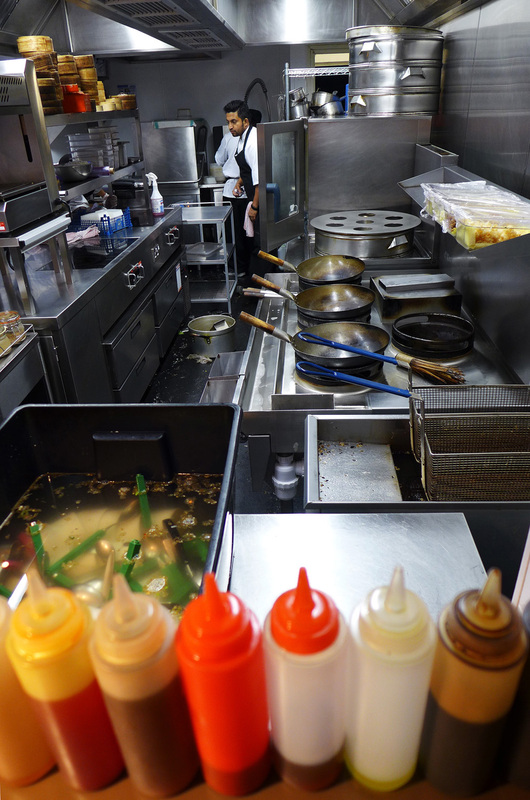 Some Chinese restaurants claim that their stocks have been simmering away for over a hundred years. 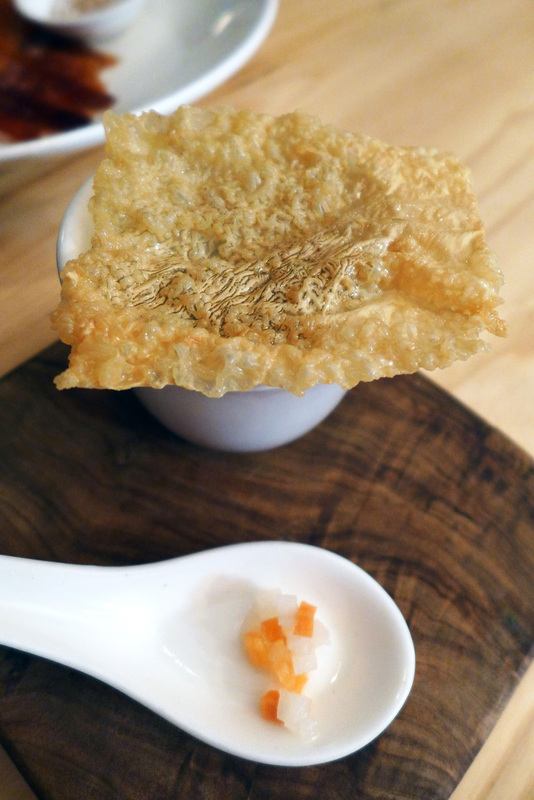 The little pot of stock below was topped with dried Tofu skin. 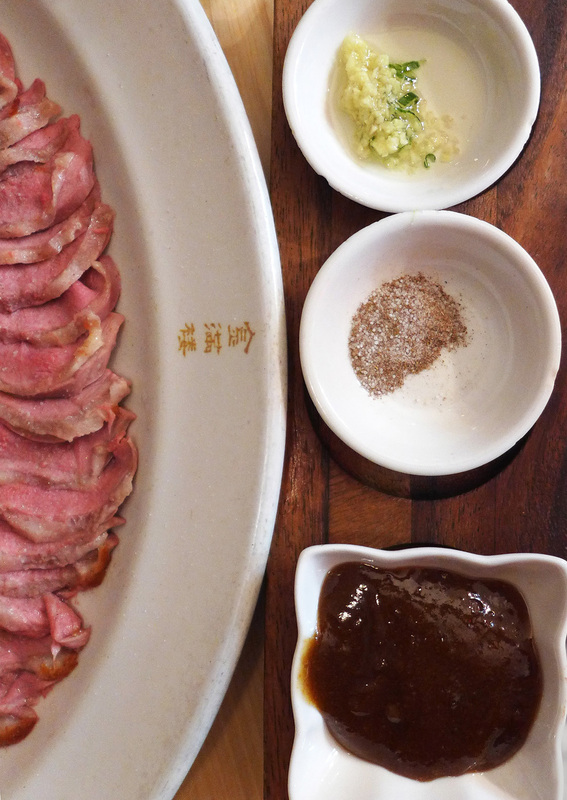 The third serving was Duck meat and more of the skin with pancake, Plum sauce, Spring Onion, Cucumber stick and minced Ginger. 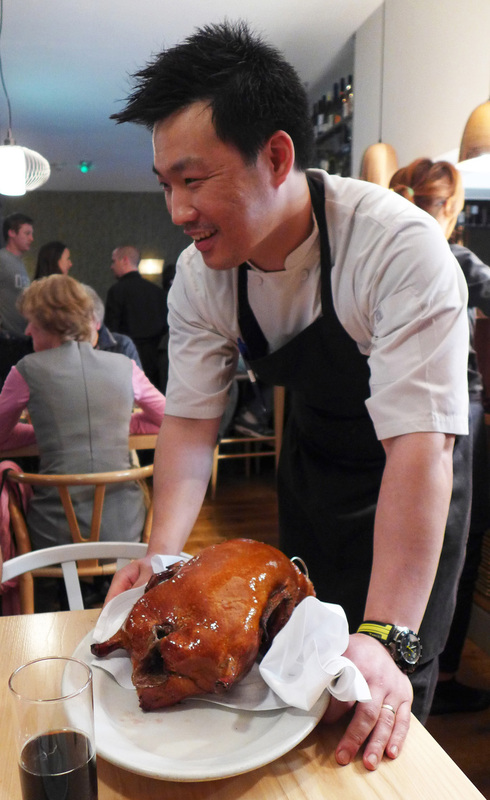 The Duck was pink and extremely tender and had been expertly carved into the traditional “108” slices utilising every bit of the Duck….Not an easy task for the chef. Andrew said we could count slices if we wanted but it had already been done. Chef Paul Weaver ( St John B&W ) listens intently as Andrew explains the cooking process….. Don`t even attempt it Paul. 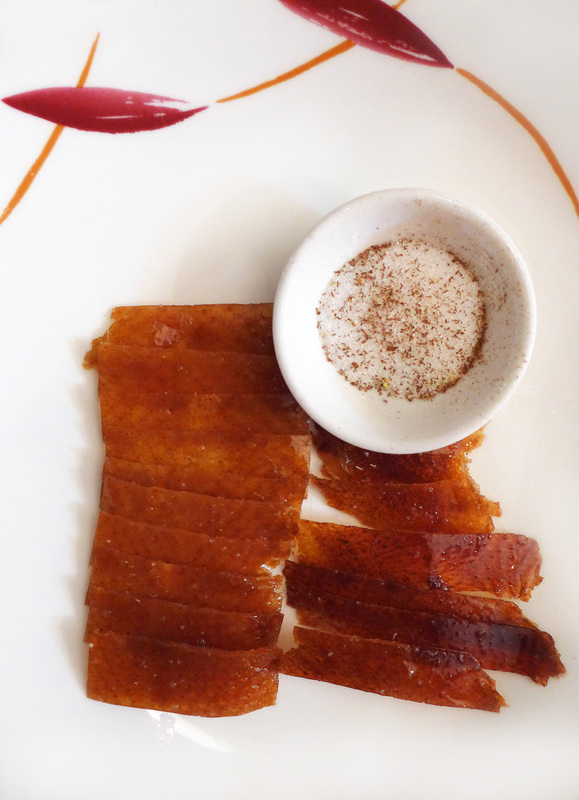 The traditional accompaniments – Fresh Ginger , Cinnamon sugar , Plum sauce. All ready to roll…. you know how its done. 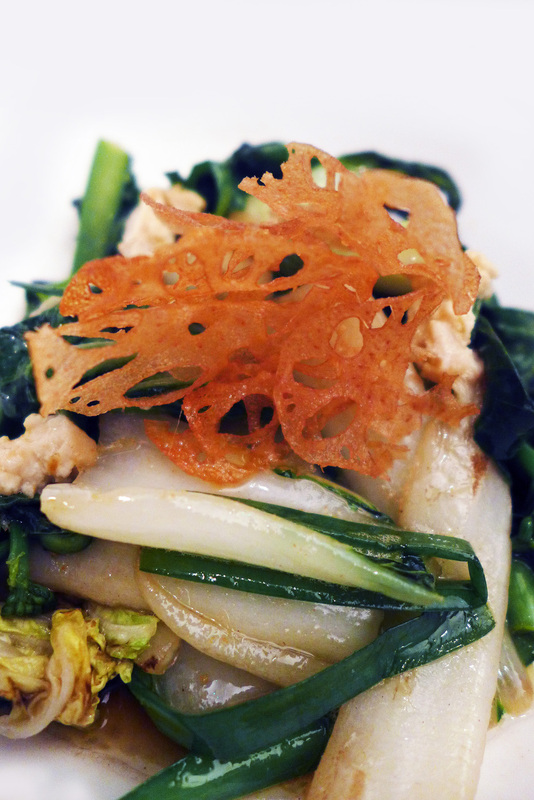 On to the next course , a variety of mixed Chinese vegetables with dried Shrimp Butter, fermented Beancurd and Pickles topped with Lotus root crisp. 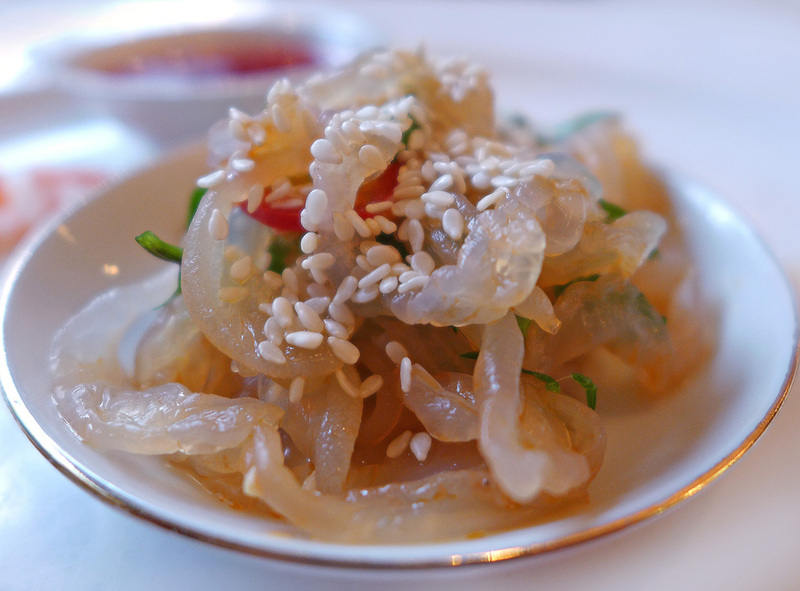 Northeast China has harsh winter so relies on preserved ingredients and here is a taste. 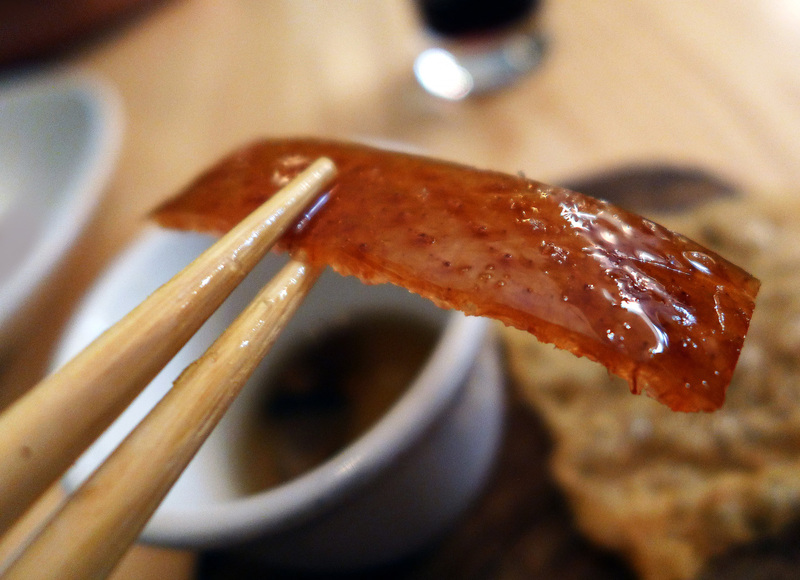 Tiny pieces of Sea Cucumber, pickled Cucumber, and Chinese dried Sausage to accompany chopped Scottish razor Clam. Lovely textures here. 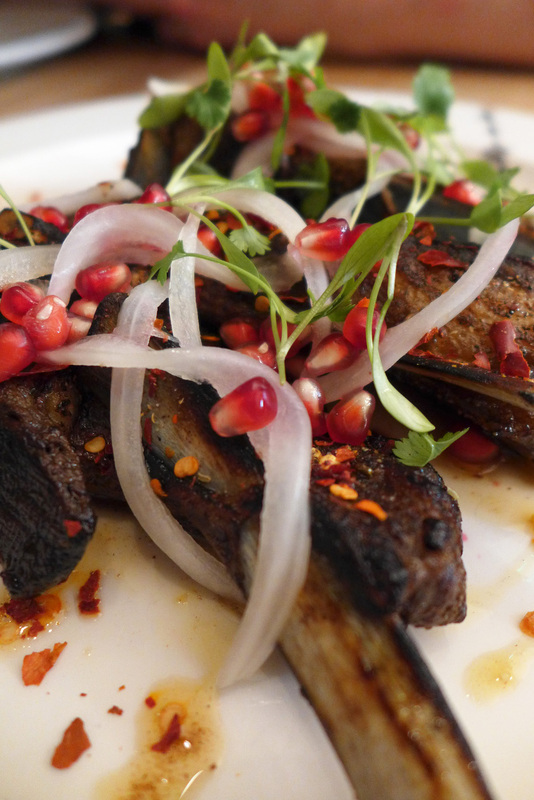 Now Andrew took us to Xinjiang province, Northwest China, with their local specialty: barbecued Lamb with Cumin and Chilli served with Pomegranate salad.Robust flavours here and strong influences from India which borders this region of China. 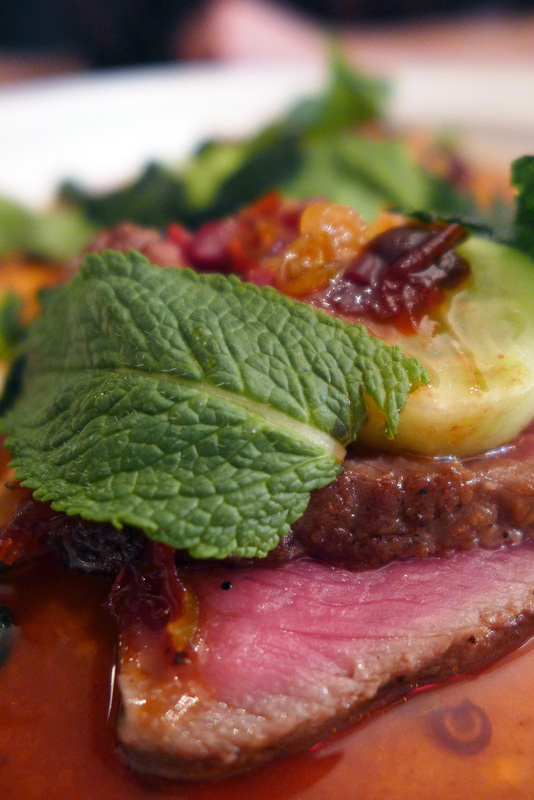 Then southwest China, Yunnan seared Beef with Mint, Chilli and Lemongrass served with a Chinese Truffle Tofu crisp. This region of China borders with Vietnam and this course brought back memories of my trip there. 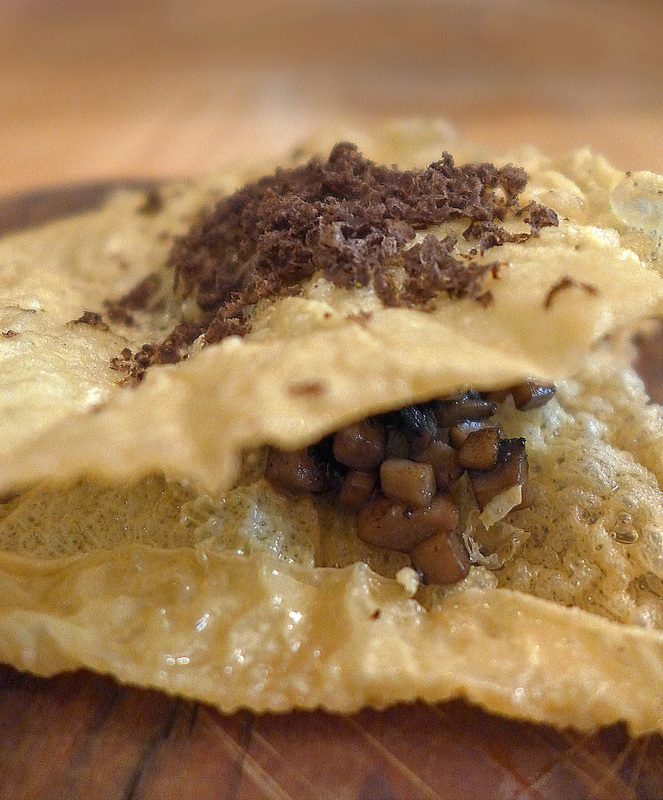 Andrew also wanted us to try some Chinese Truffle….Mushroom dried Bean curd with diced Mushroom and topped with Truffle. The main course was in the middle of China, Sichuan known for spicy food. 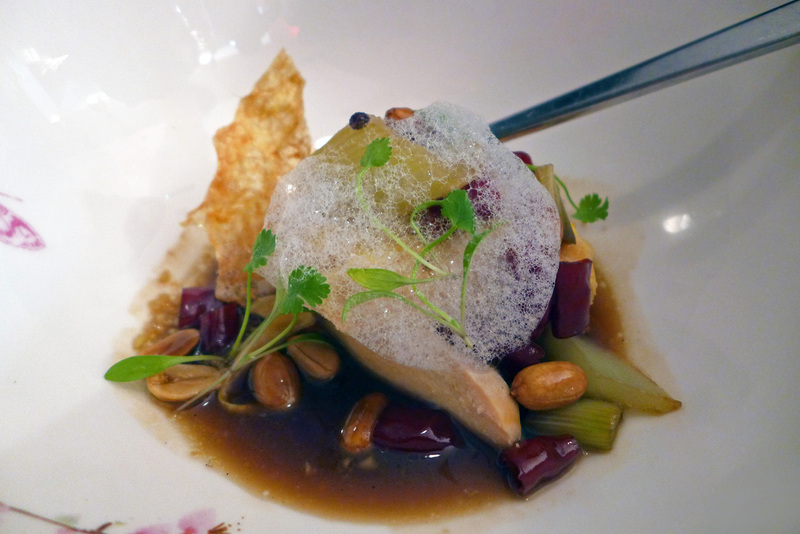 White cut Corn fed Chicken with Peanuts, ‘Gong Bao’ sauce and Sichuan Aubergine. 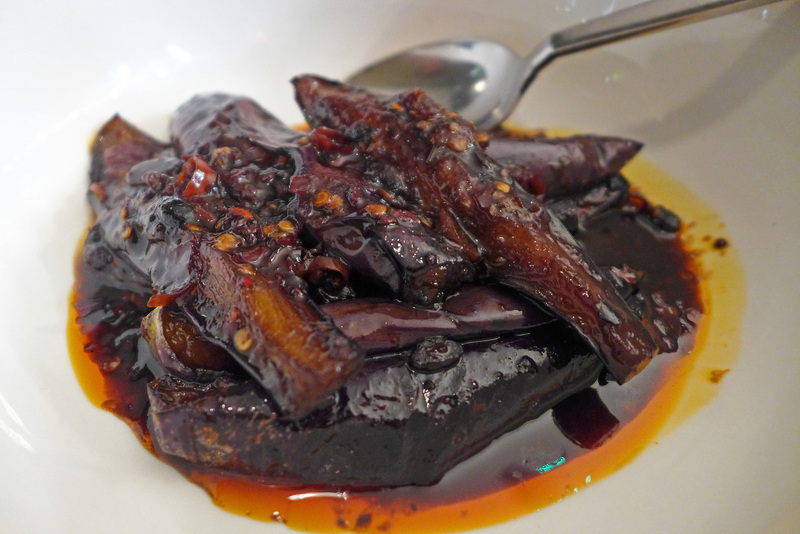 The favourite dish of General Gong Bao served with Sichuanese Aubergine, braised in Sichuan Chili sauce! So now we move to the sweet treats. 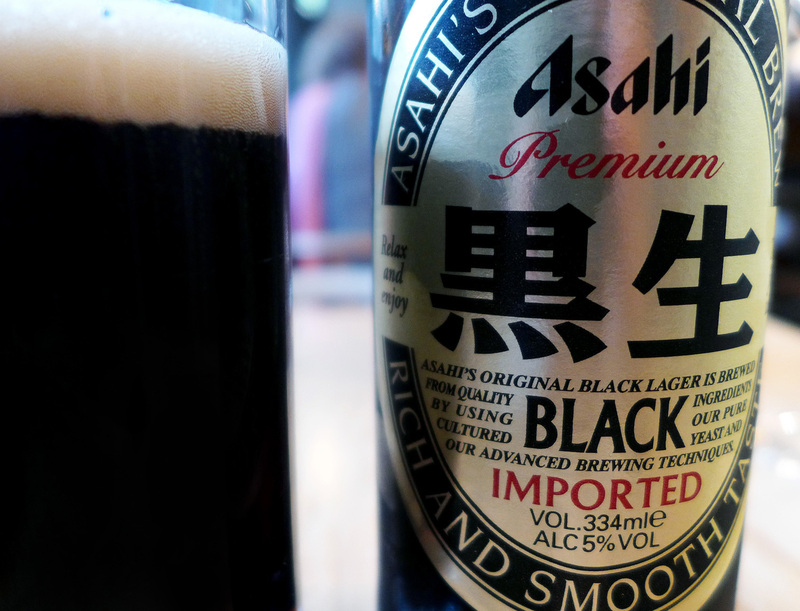 Founded in 1903 in the city of Tsing tao is now the 2nd largest Chinese brewery. 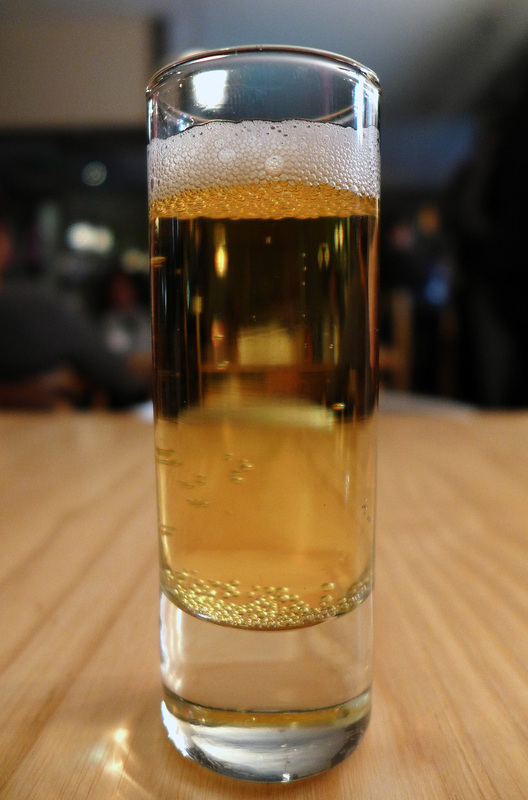 Here we were given a shot glass of Tsing Tao 1903 a premier verison of the Beer. Andrew was inspired by the small vendors outside Beijing train station selling small jars of Yoghurt . 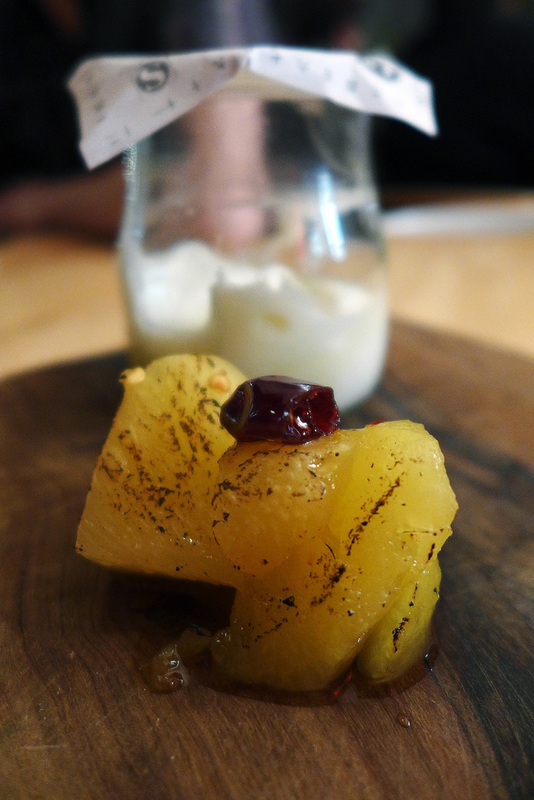 Chinese cuisine doesn`t normally do Cheese and dairy products but Andrew recreated those Beijing moments with his homemade Beijing Yogurt with glazed Pineapple and a touch of Sichuan Pepper. Served like how he remembered it at the train station in small jars. Currently China is growing at a rate of knots so after a tour of regional China, Andrew wanted to end the meal reflecting the modern world. 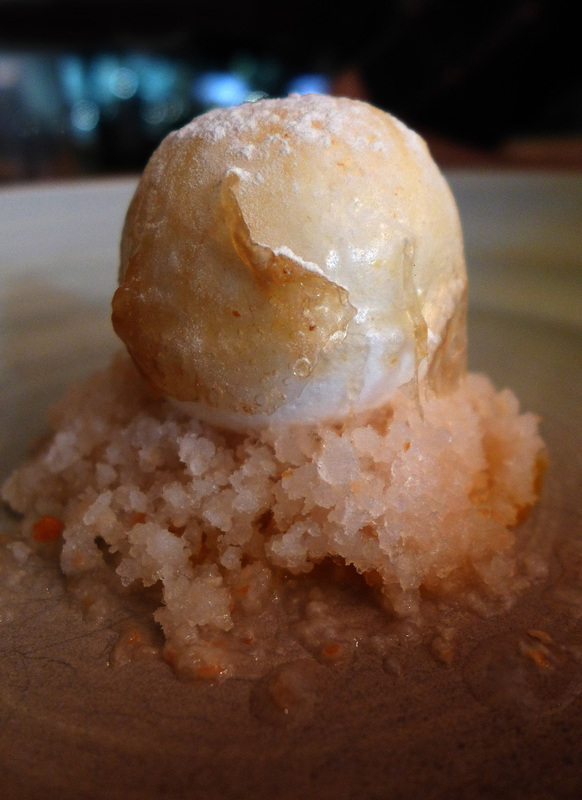 A Snowball Meringue encases Mango puree and Lime sorbet, resting on Lychee Granite. Highly perfumed and refreshing. A perfect end to a stunning meal. Petits fours were very cute. 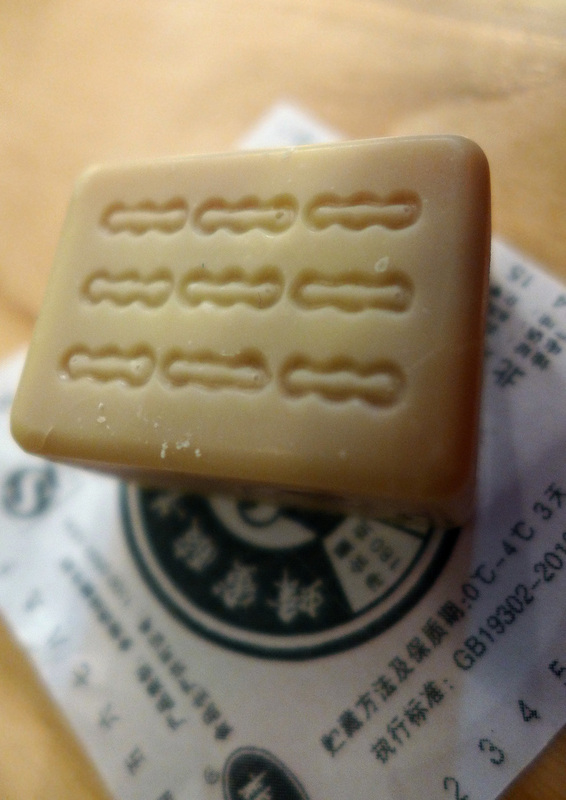 Three tiles from the most popular game in China, Mah Jong! 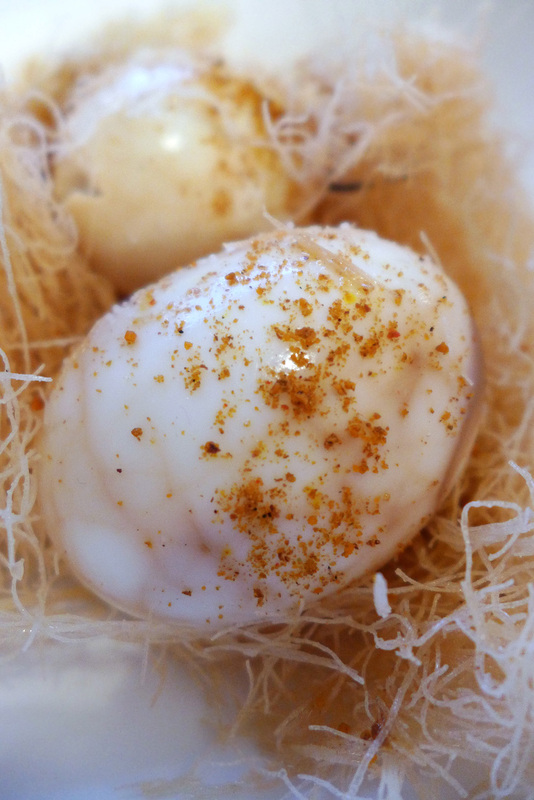 Salted Caramel in a White Chocolate shell. There is absolutely no doubt about it , i will go back to Andrew Wong. 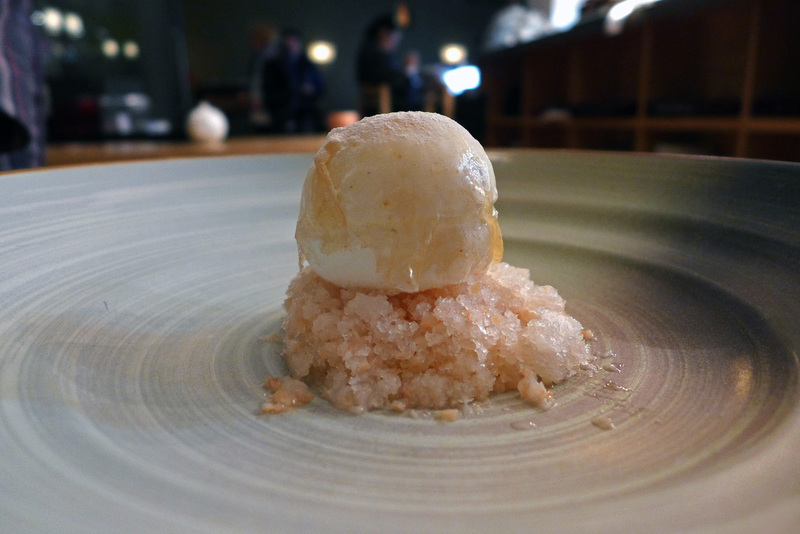 I`ve thought about it all week in exactly the same way I`ve been thinking about Hedone since my meal there 5 months ago.Both totally amazing restaurants. I won`t dare ask Andrew for the Peking Duck again as there will be low flying Cleavers heading my way. I`ll end up as Mr `Peking roasted Spedding` …….I`ll leave that job to Kevin the finediningexplorer. Previous Post The Cottage in the Wood – A perfect lovers escape. What a stunning looking feast! What was the damage if you don’t mind me asking? Super envious of this meal Al! 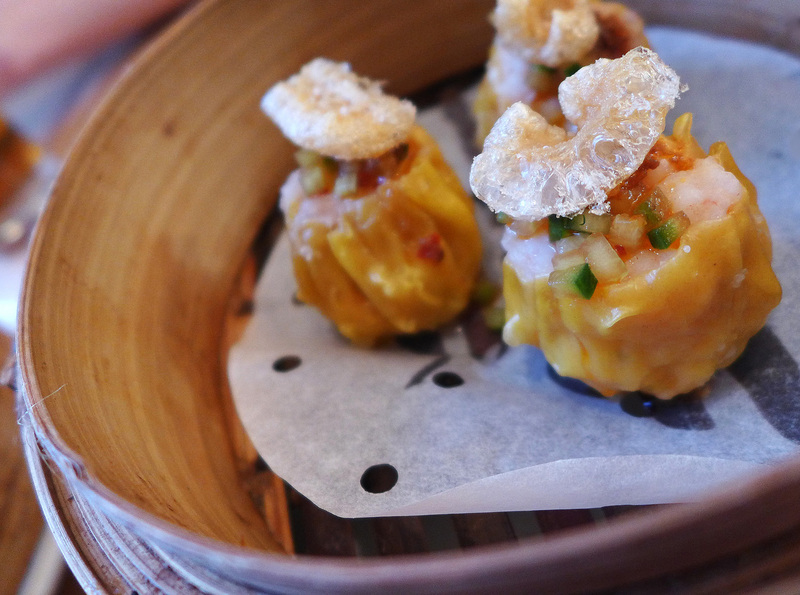 Have only eaten at A Wong once for some dim sum but obsolutely loved it! Will definitely be returning next time I am in the capital. Hopefully taking in Claridges too.